Located in the historic Old Portsmouth part of Portsmouth, Battery House is a Georgian property which combines period charm with modern comfort and facilities and offers spectacular panoramic sea views over the Solent and across to the Isle of Wight. 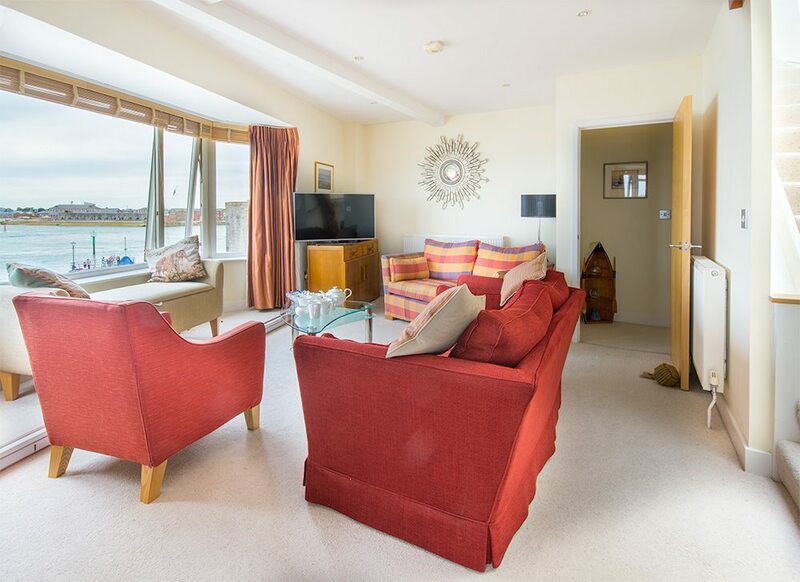 Overlooking the harbour, Battery House's roof terrace is in an ideal spot for ship watching, also offering views of the city defences dating from the 1400s, the Garrison Church and Grand Parade, and the original Navy parade ground. The accommodation comprises of four elegant bedrooms and a modern open plan living area on the top floor with access to the roof terrace. The living area includes a well-equipped kitchen with electric cooker and gas hob, fridge and freezer, dishwasher and wine fridge; a dining area which can seat eight; and a comfortable lounge with a flat screen TV (with free digital channels) and a DVD player. From the living area and the roof terrace, you can enjoy spectacular panoramic views and a front-row seat for the activity in the harbour. There is also a washing machine and tumble dryer on the ground floor. The four bedrooms are situated on the first and second floors of the property. Three of them can be configured as either a king size or twin bed and the fourth is a double. There are three en-suite shower rooms with an additional family bathroom and a separate WC. 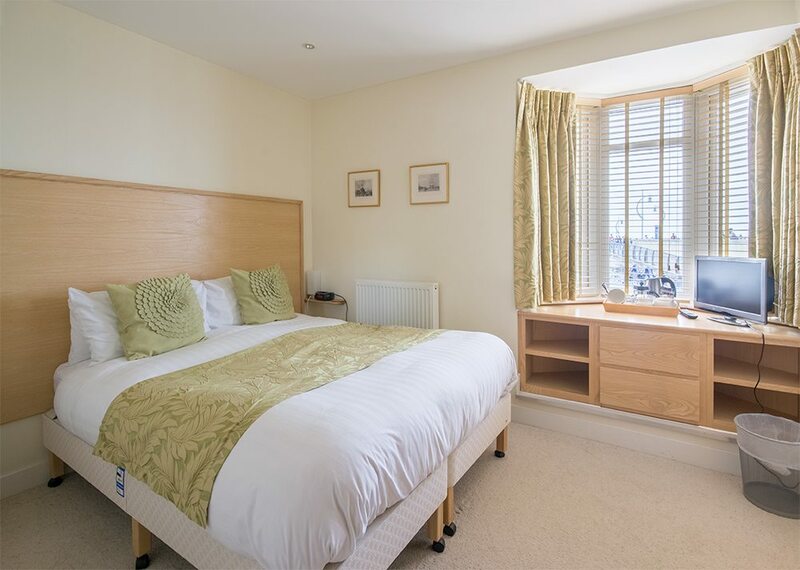 All bedrooms benefit from flat screen TVs and tea and coffee making facilities. There are so many different places to eat and drink in Portsmouth that you will be certain to find something to satisfy everyone’s needs. 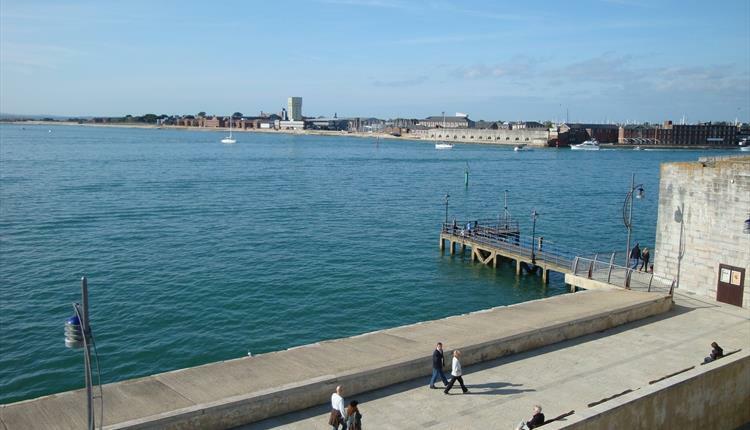 Considering that Old Portsmouth is a relatively small area it is able to offer a surprising range of places to eat and drink within 5 minutes walk of the house. If you want to eat and watch the ships go by then try the Spice Island Inn or the Bridge Tavern. If you want to have a wider selection then the 10-minute walk to Gunwharf Quays will bring you to restaurants offering French, American, Chinese, Spanish, Seafood, Italian, Bistro and Traditional menus.